Actually I was in Pintlala, Alabama, just south of Montgomery. I was a guest at the Ray Scott Trophy Bass Retreat , invited along with three other outdoor writers enroute to the Southeastern Outdoor Press Association annual conference in Eufaula. 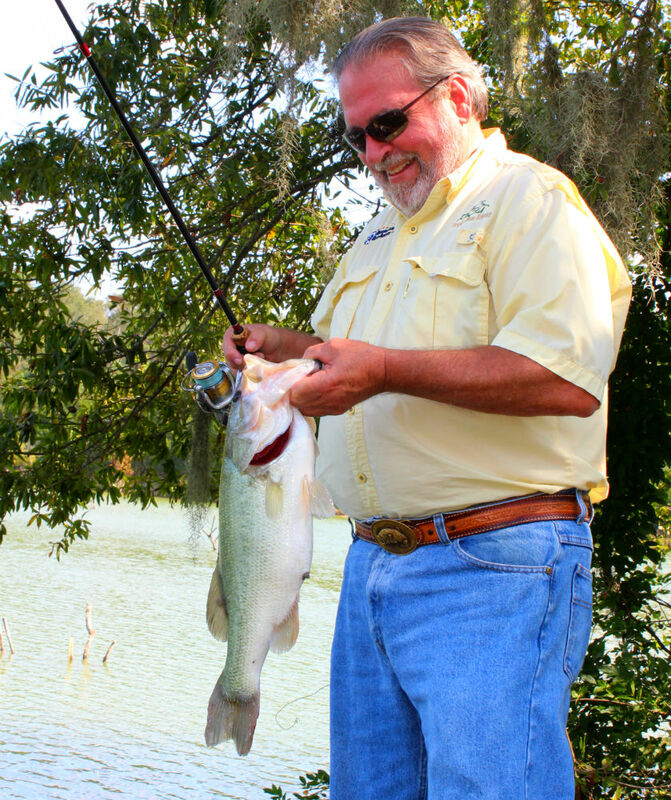 “For people who know and understand bass fishing, they know there’s only one Ray Scott private lake. So for many people this is hallowed ground,” said Jim Kientz, Executive Director of the retreat. Kientz and his staff spend their days insuring the place looks and feels like a picture postcard at every turn. But few days go by that he and staff biologist Jim Liner, don’t find some time to cast a line themselves. At 82 years old, Ray Scott is still a looming presence. I had met the man before, in passing, at other outdoor conferences. But when he walked onto the back porch that evening, drink in hand and wearing his signature white cowboy hat, he was just another one of the guys. 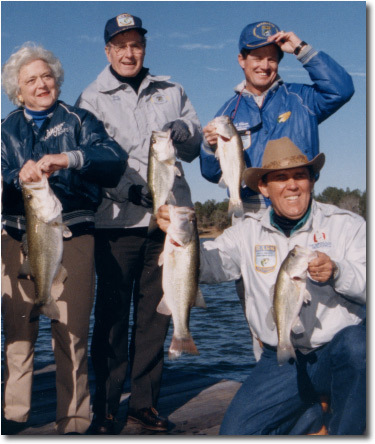 His fishing trips with the Bush family have been written about many times. I asked him how they became friends. Then I sat back and let my tape recorder run out as he told tale after tale of his time as the Alabama Campaign Chairman for H.W. Bush in 1980. 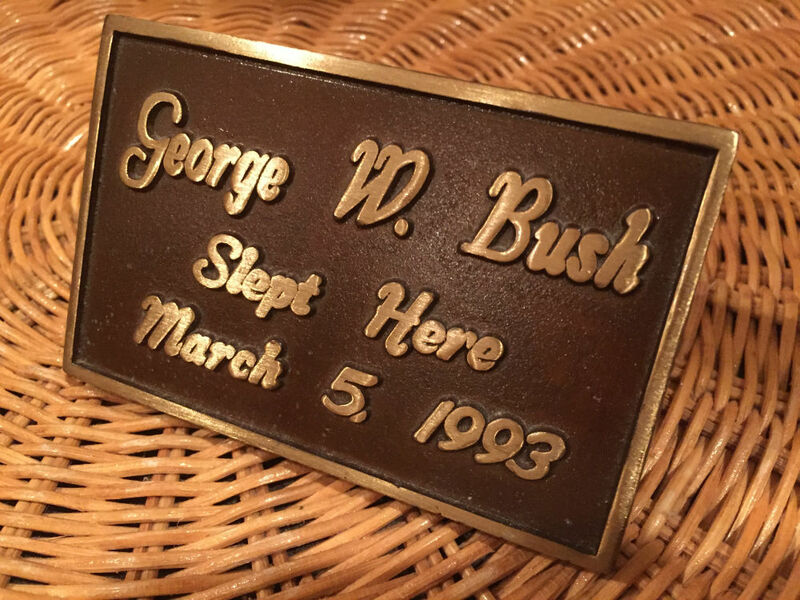 Bush didn’t get the Presidential nod that time. “I don’t think God could have beat Ronald Reagan that year,” said Scott with a smile. However Bush did get tapped for Vice President, and Scott insists he and his campaign compadres made that happen at the GOP Convention in Detroit. “We organized such a demonstration [in support of Bush] the night he came out, they had to call the police to calm things down,” said Scott. “Reagan was in a hotel a block down the street watching it on TV and when that demonstration went off Reagan said, ‘Good God. Look at that. That’s who we need as vice president.” The pair won by a landslide. 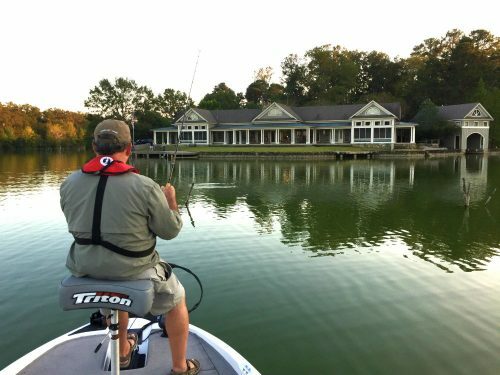 Scott still enjoys talking politics almost as much as bass fishing — emphasis on “almost.” He is very proud of the little slice of bass fishing heaven he’s created — and proud to share it with visitors. Scott, however, cannot be there to greet every visitor. We proved it as Ray Scott’s trophy bass eluded us. However me and Virginia writer Ken Perrotte combined to put 20 bass in the boat. It wasn’t a cake walk. We fished hard. 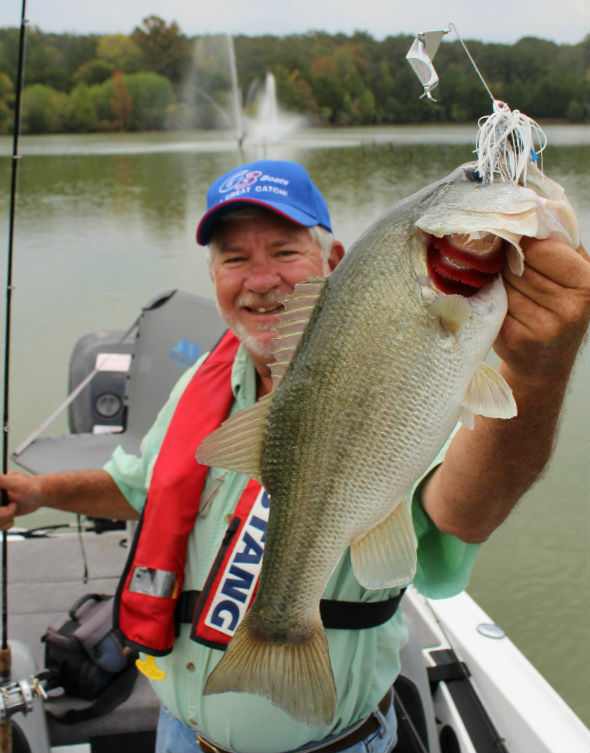 Fish are fish whether you’re on Chickamauga Lake or on Ray Scott’s private water. They bite when they want to bite — or when you’re good enough to make them bite. But knowing that every cast could bring a trophy, and knowing you’re fishing “hallowed waters” where great men and women have cast their lines before you, is a treat. For Kientz however, one story stands out and it doesn’t involve anyone who was rich or famous. It’s the story of 10-year-old Windle Viars. Windle, from nearby Opelika, Ala., was battling terminal cancer. 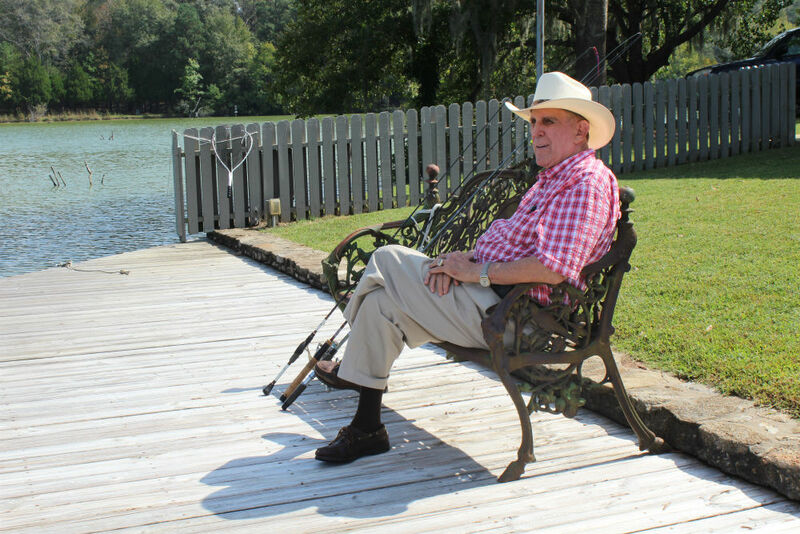 He loved to fish and his dream was to visit Ray Scott’s waters. As soon as Scott learned of Windle’s wish, it was done. 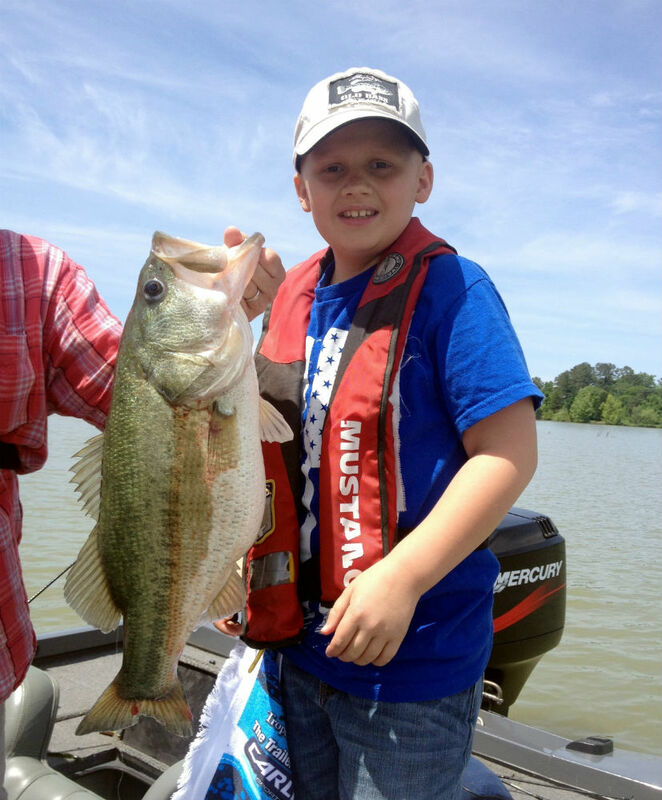 Then out of the corner of his eye, he saw the line moving and realized Windle’s trophy bass was on the line. He coached his son, but he wanted Windle to do it himself and the youngster managed to boat the 10-pound, 4-ounce bass. You can’t keep bass from Ray Scott’s lakes, no exceptions. But after he left, as a surprise, Scott had a replica mount created and delivered to the young man’s home. Yes, Ray Scott’s slice of heaven does make dreams come true.